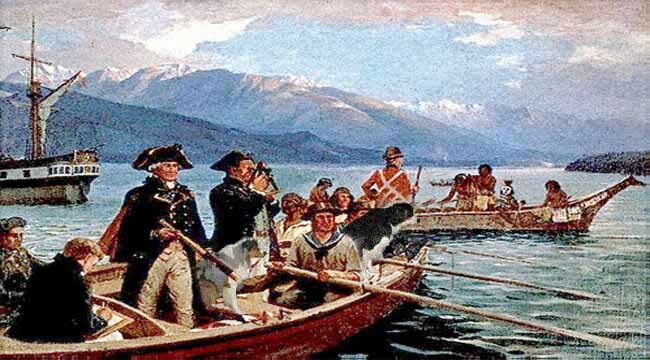 GEORGE VANCOUVER ON CROSSCURRENTS, 6/22 – Doggedly Yours… Howling, Humor, and History. GEORGE VANCOUVER ON CROSSCURRENTS, 6/22: An officer of the British Royal Navy and a surveyor, George Vancouver born on this date in 1757, explored and charted the waters of the northwest Pacific Coast including Alaska. Gavin and Wyatt act as part of the crew on the ship HMS Discovery as they have joined Vancouver in his latest marine expedition. You can be a part of John’s shore-side crew on the KRNN radio as he discovers some new music on Crosscurrents, 6/22 at 8 a.m.